I like to add a 3×1 rib on the back of a shell with thin straps to help prevent sagging on the top edge. Apparently my mind was on other things for the first three inches; that’s when I realized I had completely forgotten to knit the rib. No worries, I’ll just add it now. Adding an After-Thought Rib is pretty basic. 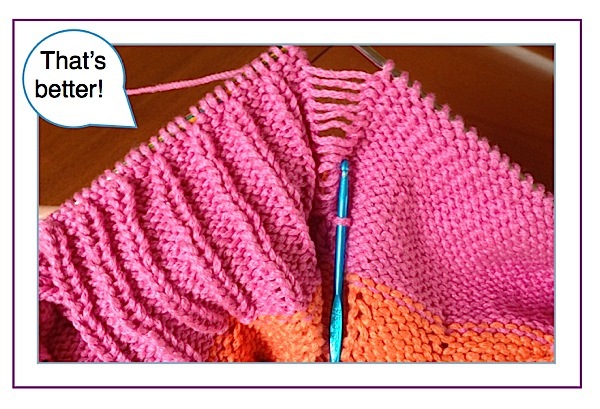 Knit to the desired location, drop the stitch in question and pull it back to the start of the rib. Then turn the work to the wrong side and use a crochet hook to pick up the dropped stitch and ‘re-knit’ it. Return the stitch to the left needle, purl it, knit 3 and repeat. Doesn’t “After-Thought Rib” sound a lot nicer than the “How to Fix a Harebrained Error Rib”? 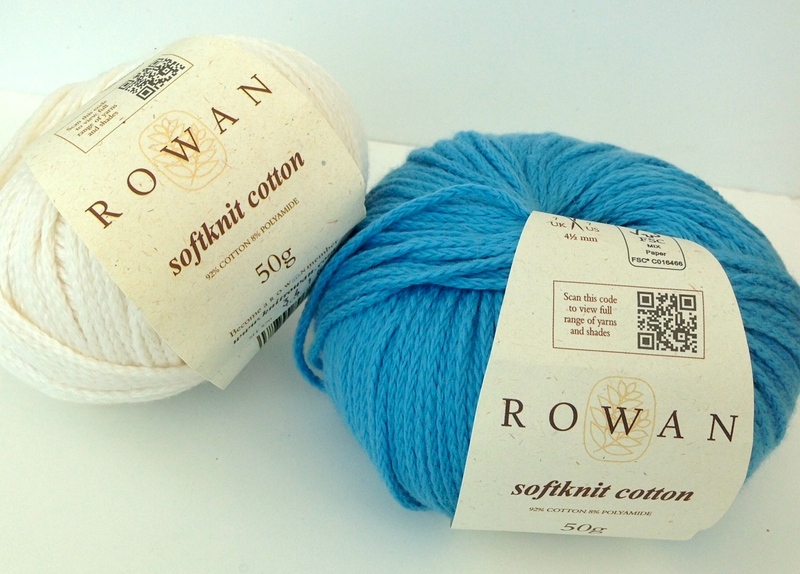 I’m knitting this shell with Rowan Softknit Cotton. It’s a lovely cotton-blend chain yarn that’s perfect for summer knitting. It knits to 5 stitches per inch on US 7 needles. The 8% polyamide not only gives the yarn a softer feel than many cottons, it makes the yarn machine washable too. Softknit Cotton comes in some vibrant colors sure to spice up your summer. If you want to get caught up with all the new skills we’ve announced to date, just click on the Nuances category on the blog’s home page. This way you’ll be ready for any new announcements that might happen to be on the way this summer! You’ll find free tutorial downloads for all of them on our web site. 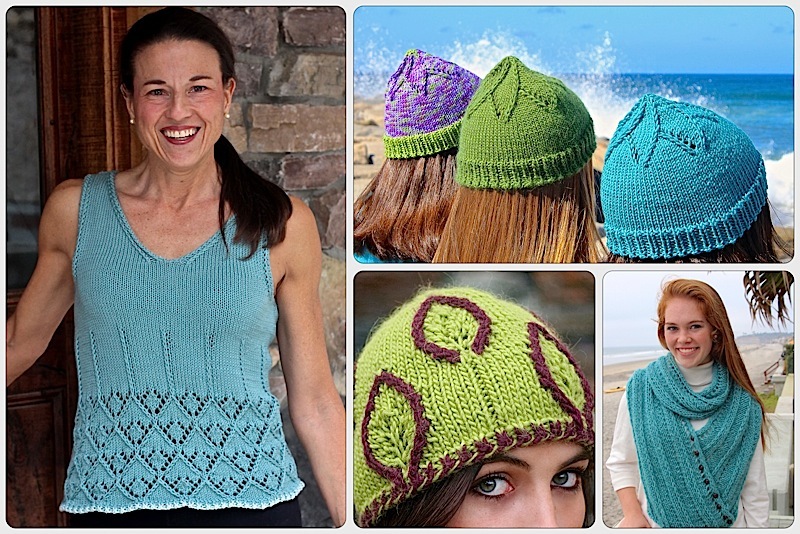 This entry was posted on June 11, 2014 by Laura Cunitz in Patterns, Tops, Yarn & Yarn Shops and tagged knitting, Knitting Ribs, Rowan Softknit Cotton.